" Each person must like his life as a model for others. " A park is an area of natural, semi-natural or planted space set aside for human enjoyment and recreation. 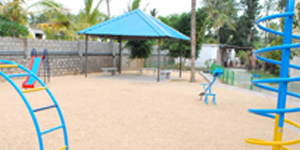 We have an outdoor backyard play area for the pre-primary children with the age-appropriate and safe accessories to play with. The play area is guarded on all the four sides and has a bed of sand for cushioning. 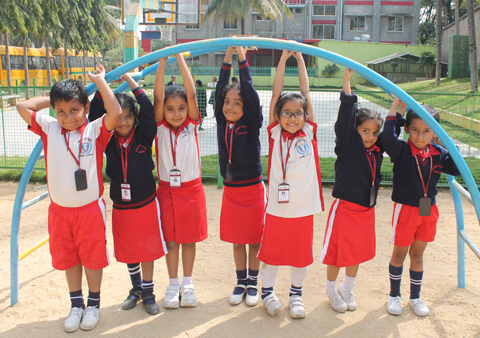 Children of pre-primary, when taken to this area, are accompanied by a teacher and a support staff to supervise them while playing.